9 Bedford Row International – ICTY Appeals Chamber Delivers Judgment in Popović et al. ICTY Appeals Chamber Delivers Judgment in Popović et al. On Friday 30 January 2015, the ICTY Appeals Chamber issued its Judgment in the case of Popović et al, the Tribunal’s largest completed case to date. The Appellants, five senior Bosnian Serbian military officials Vujadin Popović, Ljubiša Beara, Drago Nikolić, Radivoje Miletić, and Radivoje Miletić, had been tried for crimes perpetrated by Bosnian Serb forces in July 1995, following the takeover of the protected areas of Srebrenica and Žepa. The Appeals Chamber dismissed, unanimously or by majority, most of the Appellants’ challenges. Trial proceedings in Popović et al. began on 21 August 2006 and concluded on 15 September 2009 and involved a total of seven accused. 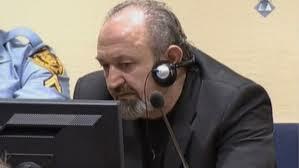 Ljubomir Borovčanin, former Deputy Commander of the Republika Srpska Ministry of Internal Affairs Special Police Brigade, did not appeal his conviction and proceedings were terminated against Milan Gvero, Assistant Commander for Morale, Legal and Religious Affairs of the VRS Main Staff, following his death. Click here to read the Judgment Summary and here to read the Judgment.